When my parents owned a Chinese takeout restaurant years ago, I had to crank out beef and broccoli orders every single day, along with dishes like Chicken and snow peas in “brown sauce, ” and “Happy Family” specials. Naturally, when hungry walk-ins are expecting their orders in ten minutes or less, it’s always good to have an arsenal of shortcuts to make the process easier. One such shortcut was having an all-purpose stir fry sauce on hand to use as a base for many dishes including the popular beef with broccoli. You could order takeout, but preparing the dish yourself ensures you know the quality of the ingredients while saving a few bucks in the process. Make a batch of stir-fry sauce and keep it in a jar in the fridge for use throughout the week. Just shake well, and pour however much you need into the pan! Start by making your stir-fry sauce. In a jar with a tight lid, combine the water, cornstarch, and sugar. Cover the jar and shake it so that everything is dissolved together. Then add the rest of the sauce ingredients and shake well. We used small 8 oz. bottles, which worked really well as single use servings! This sauce should keep for a few weeks in the refrigerator. You can use this stir-fry sauce for a variety of dishes. 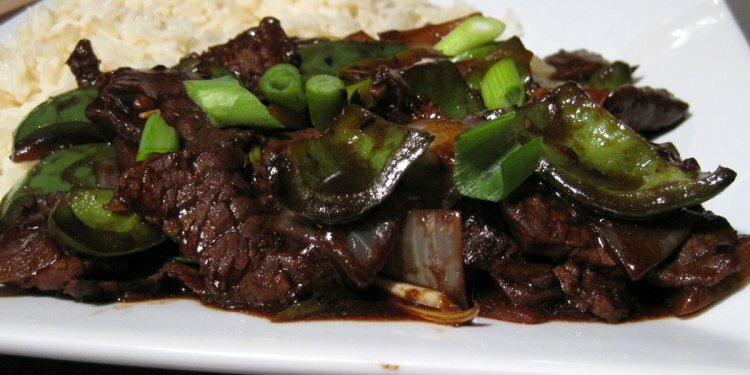 Just change up what meat and vegetables you want to use, and follow a similar method of cooking: 1) marinate the meat. 2) if using any “hard” vegetables like broccoli or carrots, blanch them for a minute. 3) sear the meat and set aside. 4) stir-fry the vegetables with oil and aromatics, and then add the meat back to the pan along with the sauce.